z/OS is the premier operating system from IBM, powering a computing backbone of the Fortune 1000 organizations worldwide. Since 1992, with active z/OS products and software development, AVCalc stands ready to share its expert knowledge of IBM z/OS mainframe platform, z/OS system services and z/OS internals, so AVCalc customers consistently achieve and maintain the ever changing production goals with none or minimal changes to their COBOL, PL/I and C/C++ source code and JCL assets, utilizing AVCalc expertise in developing SVC screening routines, authorized and cross-memory code, and relying on AVCalc high proficiency with IBM High Level Assembler (HLASM), conditional assembly language and macros, IPCS dump analysis and debugging, as well as AVCalc internal knowledge and deep understanding of COBOL, PL/I, DFSMS, IMS, SQL, Db2 and Db2 IFI for z/OS, TSO/E REXX and TSO/E CLIST, and including AVCalc collaborative work with IBM, many Independent Software Vendors (ISVs) companies, and internal users and clients. 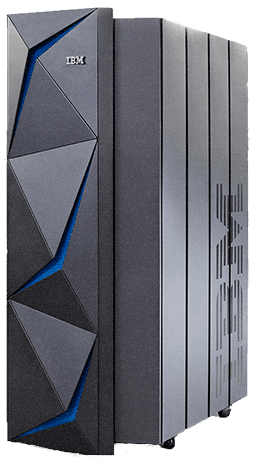 The bulk of the referenced z/OS expertise comes from design, development and maintenance of a major z/OS Application Checkpoint/Restart product for IBM mainframe platform since fall of 1992, and until March of 2018, with successful product implementations in Fortune 1000 organizations worldwide. The product architecture necessitates a very close integration with, and understanding of all or nearly all z/OS architectural elements, IBM Language Environment, I/O subsystems, key resource managers, and associated development tools and problem diagnostic procedures, as well as, providing superb and responsive support to domestic and international customers. Development of a sequential access method, based on BSAM for sequential datasets, and VSAM for sequentially accessed VSAM clusters, to reposition application files to the point of the last successful checkpoint (or a resource manager COMMIT) at a RESTART or a ROLLBACK time. This access method is not too dissimilar to IMS GSAM. The significant advantage of the method, while it does implement APIs, it does not require to use them. Moreover, the method neither rely on or require IMS environment at all, but can successfully support native files under IMS. The method allows for COBOL, PL/I, C/C++, Assembler and REXX programs to synchronize sequential files with Db2, WebMQ and any other RRS compliant resources, without changing any language-specific I/O statements. The method relies on the implemented SVC screen to intercept OPEN and CLOSE SVCs issued by underlying local TCB. Then, upon an OPEN request, addresses of native to user application I/O routines (within DCB) are replaced with method own I/O services, thus completing the method setup. The SVC screen also interoperates with IBM z/OS Debugger SVCs. Development of HLASM Application Programming Interfaces (APIs) to various DFSMS access method services like BDAM, BSAM, Data-In-Virtual, QSAM and VSAM; to various IBM Language Environment (LE) Vendor Interfaces and IBM high-level programming languages like COBOL, PL/I, C++ and TSO/E REXX; and to IBM Resource Managers like Resource Recovery Services (RRS) for z/OS, Db2 for z/OS, IMS and WebSphere MQ. Development of a Db2 automated thread monitoring and thread cancellation product for z/OS. Development of a Db2 Call Attachment Facility (CAF) product for z/OS. Development of SQL Performance and SQL Trace product features for Db2. Development of COBOL and PL/I precompilers. Development of a TSO/E CLISTs to TSO/E REXX EXECs converter product. Development of a TSO/E REXX EXECs preprocessor. Created a custom version of IMS DFSLI macro to generate a specific variance of DFSLI000, the IMS language interface module, to transparently bootstrap a z/OS Checkpoint/Restart product without changing the underlying IMS Batch applications. Setup and maintained an automatic, reliable, secure, and inexpensive backup of any number of z/OS DASD volumes and datasets using DUMP command of the ADRDSSU utility of the z/OS DFSMSdss Storage Administration facility. The DUMP command output datasets are encrypted and FTPed to an inexpensive geographically-remote cloud storage server. The backed-up z/OS volumes and datasets can be restored, not only to the original z/OS storage server, z/OS machine or LPAR, but to any other z/OS system that can execute RESTORE command of that same ADRDSSU utility. As a result, the backup can be used to facilitate complete recovery of lost z/OS data. Contact us to discuss your next z/OS project!